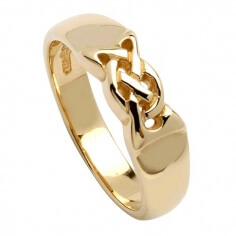 Just when you think you've seen every possible type of Celtic knot, our craftsmen create something entirely unique! 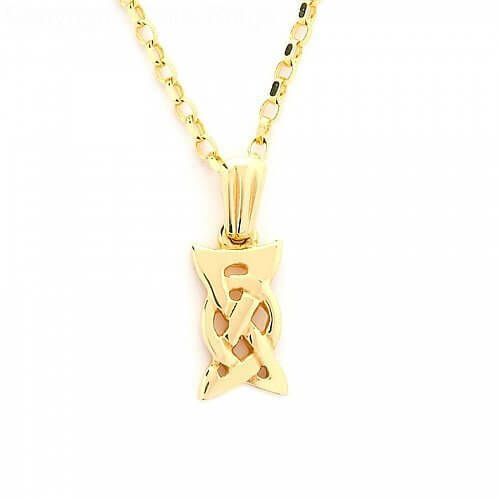 The Celtic knot pendant with its impeccable design has no observable beginning or end, and includes both angular and curved lines for a wandering eye to ponder. Infinite in nature, this pendant exemplifies the simply beauty of an endless knot. Dainty and feminine, it would be a delightful gift for any woman to receive. 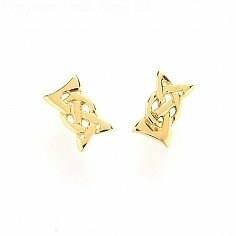 Made by hand in silver, 10k or 14k yellow gold, and 14k white gold.